Priced specifically for Mid-Market and PE Owned companies, the VerticalReach Leveraged Procurement BPO Solution offers tailored, on-demand Procurement & Supply Chain business process services utilizing a blend of experienced US-based Procurement Consulting Talent from VerticalReach and Americas-based Fixed-Rate Tactical Sourcing or full Source-to-Pay and/or Buy Desk process delivered by our nearshore tactical-sourcing partner and powered by Ivalua’s best-of-breed eSourcing Technology in a seamless solution that’s accessible and scalable for organizations of all sizes. 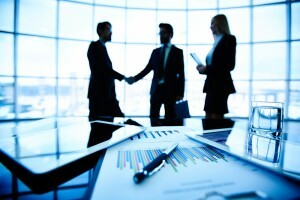 VerticalReach has created strategic alliances with business process outsourcing firms, independent blue-chip consultants and niche service, and technology providers to deliver a wide range of solutions that enable organizations to meet their objectives while driving value as well as hard-dollar savings. What category sourcing event, spend analysis, consulting engagement, supply chain strategy, technology solution or customized training can we deliver or facilitate a service provider introduction for you?